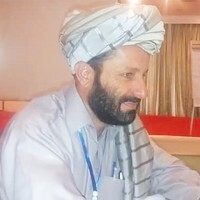 TANK: Tribal journalist and human rights activist Mohammad Zaman Mehsud was gunned down in an ambush in Tank, southern district of Khyber Pakhtun­khwa, on Tuesday, only a day after the International Day of End Impunity Against Journalists was observed the world over. Police and witnesses said that Zaman Mehsud was going to Tank from Gomal bazaar on his motorcycle when he came under fire near the Dabara refugee camp. Zaman Mehsud was injured and taken to the District Headquarters Hospital (DHQ) which referred him to the DHQ hospital in Dera Ismail Khan where he succumbed to his wounds. The assailants who were on a motorcycle managed to escape after the attack. According to the post-mortem report, the journalist was hit by 10 bullets. Zaman Mehsud was working as a correspondent for Urdu language dailies Daily Ummat and Nai Bat. He served as president and secretary general of the South Waziristan chapter of Tribal Union of Journalists’. He hailed from the Mantoi area of Ladha in South Waziristan and was residing in Tank. He was also a monitor of the Human Rights Commission of Pakistan’s South Waziristan chapter. Soon after the attack, a large number of journalists from Tank and South Waziristan reached the hospital. Aslam Khan, a brother of the slain journalist, registered a First Information Report (FIR) against unidentified killers. He said the deceased who was the lone bread earner of his family, had no enmities with anyone. Zaman Mehsud leaves behind his wife, three sons and two daughters. The funeral will be held at Narsez IDP camp in Tank on Wednesday. HRCP SHOCKED: The Human Rights Commission of Pakistan (HRCP) has expressed grief over the killing of Zaman Mehsud. “HRCP offers sincere condolences to the bereaved family. The commission hopes that this latest addition to our list of martyrs to the cause of human rights will not dampen the spirit of the deceased’s colleagues and will reinforce their resolve to work for the rights and dignity of all human beings with the same commitment as before, ” the statement said.